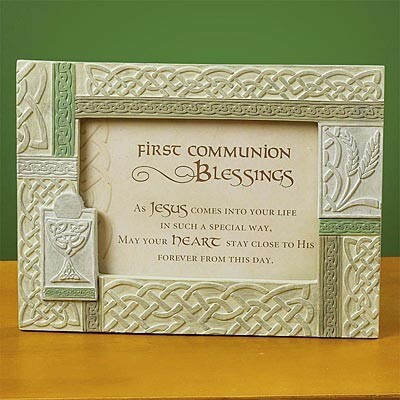 This Irish First Communion Frame is crafted of resin and sculpted with knotwork detail. Displays a printed facing that can be replaced with a 6" x 4" photo. Easel backer. Protective white box. 8 1/8" x 6 1/8". As Jesus comes into your life in such a special way, May your heart stay close to His forever from this day.